Refugee Resettlement Update Envisioning Our Musical Future – Please Take Our Survey! If you often have trouble hearing during Sunday services, there is help available. 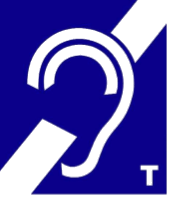 The People’s Church Commons and Room 19 are both equipped with hearing loop systems that really can help. But using them requires either a properly adjusted hearing aid equipped with a T-Coil, or use of our headphones. Hearing loss can be a problem of which we only gradually become aware as we age. If you want to try our headphones, ask the person at the Information Desk or an AV technician for assistance. When you are ready to seriously consider dealing with potential hearing loss, your AV team recommends calling the WMU Hearing Clinic at 269-387-8047 (or Google Western Michigan University Hearing Clinic) for an evaluation. If you need a hearing aid, competent audiologists will suggest one that is appropriate for you at an affordable price.